The Franche-Comte is on the eastern side of France and borders with Switzerland. In the lower Jura, Doubs valley, mountain area the agriculture is mainly dairy products with a huge cheese production and also wine. Another industries are forestry with furniture production. The economy of the Franche-Comté is industry oriented. Already during the Middle Ages and the modern period, the city of Salins was famous for its sources of salted water (the salines of Salins), bringing immense wealth to the city and its masters. Today, the region is an important dairy producer, including several famous kinds of cheese such as Comté or Morbier. Though it originates from Switzerland, the Montbéliarde breed of cow is emblematic to the region and a protected label of origin. Other important industries include forestry and automobile. 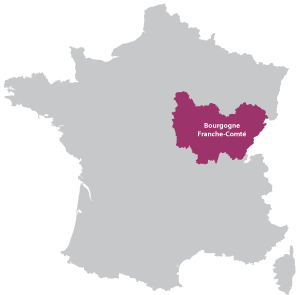 The Belfort-Monbéliard region is key to the production of French cars, including Peugeot and Citroen that both employ a lot of workers throughout the Franche-Comté. The region is also home to several luxury industries such as furniture and the manufacturing of deluxe watches since the 19th century ( the Lip company). 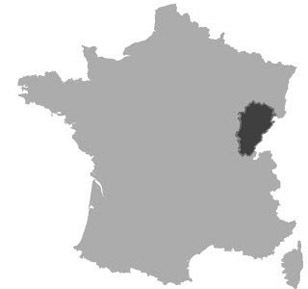 The territory that more or less matches today's Franche-Comté was annexed by France in 1678 after its conquest by Louis XIV. It was formerly composed of different territorial entities. 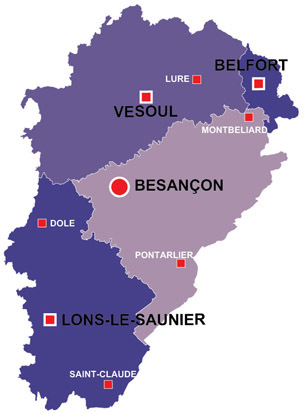 Besançon, the capital of the region, was a free imperial city surrounded by the county of Burgundy (not to be confused with the French duchy of Burgundy) belonging to the Dukes of Burgundy until 1493 when the territory passed on to the Habsburg dynasty. Montbéliard, a duchy belonging to the German dukes of Wurtemberg became French in 1793 during the Revolution. Tourism is also an important factor of the economy. The region welcomes hundreds of tourists every year thanks to its breathtaking landscapes, its architecture and a renowned gastronomy. University of Franche Comte : The University of Franche-Comté (www.univ-fcomte.fr) is the main source of higher education in the region, offering a vast diversity of subjects throughout the five main cities of Franche-Comté. There are also two schools of engineering, the ENSSM (www.ens2m.fr) in Besançon and the UTBM (www.utbm.fr) with its three campuses in Belfort, Montbéliard and Sevenans.